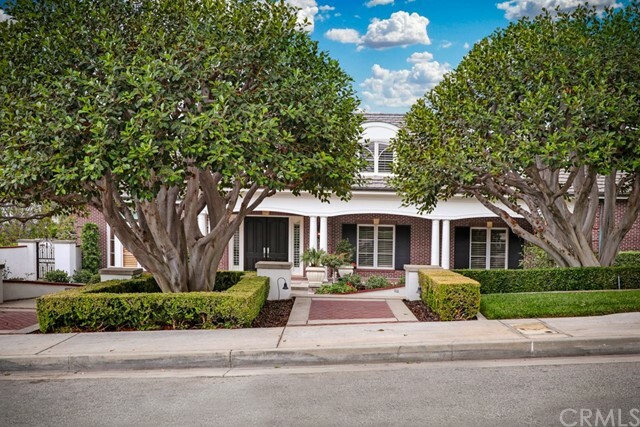 All Glendora homes currently listed for sale in Glendora as of 04/18/2019 are shown below. You can change the search criteria at any time by pressing the 'Change Search' button below. "City Lights Views! Exquisite custom built estate nestled on a hilltop double lot in the exclusive guard gated community of Gordon Highlands. 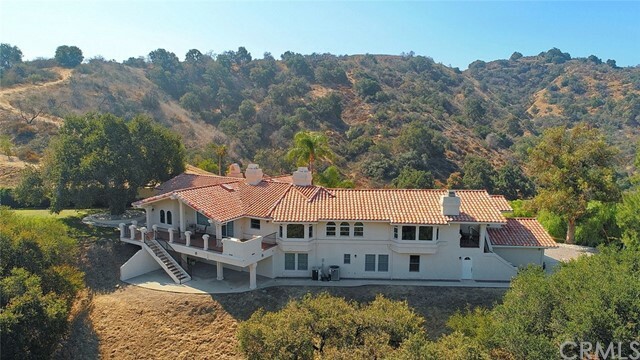 Custom built by Picture Perfect Const in 2010 this home features amazing custom details and high end finishing s and offers endless 360 degree city lights views to downtown Los Angeles and beyond while still offering the ultimate in privacy and seclusion. This estate features a 16 seat theater w/high end sound system,gourmet kitchen w/large center island, master suite w/amazing views and private balcony and an entertainers backyard perfect to enjoy picturesque sunset views. A grand formal entry w/sweeping staircase welcomes you to this gorgeous family home w/approx. 12,000 sqft, 7 en-suite bedrooms, 10 bathrooms, downstairs private office w/fireplace, gourmet kitchen w/butlers pantry,great room w/wood beamed ceilings and gorgeous fireplace,private dining room,living room w/fireplace and French Doors to outside covered patio,reading room, downstairs bedroom and bathroom w/private entrance, area for private wine cellar, beautiful master suite w/fireplace and balcony, luxurious master bathroom w/large walk-in closet, exercise room w/views,and upstairs family room w/built-ins. Outside entertaining area w/picturesque views complete w/separate grass area, gorgeous infinity-edge pool w/waterfall & slide,covered patio w/built in BBQ,refrigerator, ice maker,and firepit. Cobblestone driveway and 4 car attached garage. This estate is one of a kind!" "One of the most unique property you can find. 10184 sqft custom built home with 800 sqft two-bedroom guest house located in north Glendora. Sitting on an acre lot with many potentials. Enter through custom designed automatic gate, follows the driveway to Porte Cochere that leads you to the double entry door. This beautiful house with high ceilings features wood and marble flooring, wrought iron staircase, formal living room with fireplace, formal dining room, library, family/game room with wet bar, breakfast room with pool view. Huge master suite with his and hers bathrooms. Large office with separate entry, five en-suite bedrooms, and a gym with sauna. A djacent lot is also available for purchase, it's Yard is beautifully Landscaped with water fountains, sprawling lawn area, outdoor fireplace under trellis, shuffleboard, tennis and basketball court, gorgeous pools and spa, outside covered kitchen with BBQ island, fire pit, and a 9 hole putting green." "Panoramic City and Mountain Views! Private gated 2012 built estate nestled in a secluded setting in North Glendora with exquisite detail, high end finishing s and the finest materials. 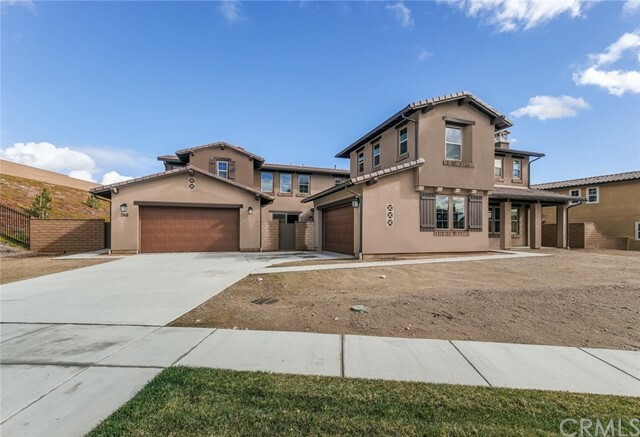 This home features 6 bedrooms and 5 and one half bathrooms with 6,845 sqft home on a 44,276 sqft lot. Double iron door welcomes you to formal entry, dining area w/beautiful chandelier, private office w/built-ins, spacious family room/great room w/built-in bar, custom fireplace & French doors to outside covered patio, state of the art kitchen w/center island and Miele appliances and Bulthaup designer cabinets and a separate wok kitchen w/built-in Miele fryer, super burner & Viking hood. Luxurious master suite with a private retreat and balcony to enjoy beautiful views, master bathroom w/spa air tub, steam shower, and dual vanities. Four additional bedrooms w/built-ins and walk-in closets & bathrooms w/high end finishing s and tile work. Amazing game room/theater room with fireplace & built-in wet bar perfect for family parties & entertaining. Owner has spared no expense w/custom window coverings throughout, stereo system throughout house, home automation & smart systems controlling lighting, security, entertainment, temperature and a commercial grade elevator. Six car attached garage(approx. 1400 sqft) w/built-ins. Private park like backyard w/putting green, oak trees & numerous fruit trees. Gorgeous one-of-a-kind estate unlike anything else in this area. Your clients will not be disappointed!" "Set in one of Glendora & SGV's most desired areas,this exquisite traditional Colonial estate sits on approx. 1 acre.Included in this resort like property is a tennis court.2 outdoor areas w/ 3 BBQ's,one which overlooks the freshly done Pebble Tec pool & cascading spa.2 fire pit areas.Electronic gate opens to the 6 car garage area.Dramatic foyer w/a custom iron & blown glass chandelier, recessed lighting w/custom paint.The open foyer opens to a step-down office w/custom maple wood work, lighting,built-in shelving (bookcase) storage,fireplace.The Foyer leads to a step-down formal living rm w/12 custom wood crown moldings & baseboards,carved wood mantel, recessed lighting w/additional lighting for your art pieces.Formal dining rm w/custom windows looks out to the gorgeous central fountain.The chef's kitchen has 4 ovens,over-sized Viking island cook-top,2 new Viking dishwashers,Viking trash compactor, new Sub-zero fridge & freezer,wood flooring & cabinetry, large breakfast nook enters into the stately family room w/one-of-a-kind sunken bar & game table.Limestone fireplace w/sleek maple mantel.There are 3 bdrms down,2 with en-suite baths, 1 that could be used for household staff.Magnificent master suite,statement fireplace,showroom his & her closets, opulent master bath,overlooking the stunning grounds.2 more bdrms,wine tasting area & bonus/billiard rm make up the top floor.Sonos sound inside & out by the pool & outdoor patio areas.Come and experience this exceptional estate." "Welcome to this exquisite traditional home in the prestigious private gated community of Easley Estates. This custom estate offers 5 beds & 6 baths w/4 car garage. Upon entering the foyer there is a grand staircase overlooking the living room & formal dining room. A fantastic gourmet kitchen w/coffered ceiling, granite countertops, viking stainless steel appliances & large breakfast area which are all open to the family room. The family room is highlighted w/gas fireplace, vaulted ceilings, built-in entertainment center & wet bar. The 1st level also offers a spacious laundry, guest bedroom w/en suite bath & powder complete the lower level. The 2nd level provides a luxurious master suite & bath, 3 additional generously sized beds w/ensuite baths & a spacious bonus room w/built-ins, vaulted ceiling & mountain views. The resort grounds are private & serene offering a lovely pool & spa, BBQ center, manicured lawns, lush landscaping & amazing views of the mountains & valley." "Captivating city lights, mountain views! For the most discriminating buyer who desires timeless quality & luxury, custom-built, one of a kind, Country English Estate, was built to standards of Old World Craftsmanship*Lath & paster const., spectacular hm boasts of over 40 tons of hand cut stone; All masonry by renowned, Norm Karn*Notable architect Don Crenshaw, designer of English Estates in Arcadia Oaks *Wrap porch*Enter through hand carved front door to grand entry, impressive staircase, landing & all Virginia hardwood floors, French windows/doors throughout*Lv rm w/stone & brick FP & beveled glass windows*Unique hexagon formal dining w/FP & 14ft distressed beamed ceiling*Ktchn; distressed cabinets & elaborate woodworking*Amenities; double ovens, Sub Zero, center island w/warmer & wine rack,BBQ eating/sitting*Main floor; library w/adjoining bth to guest BR*Lndry rm*Fm rm w/hand hewned beams, blk granite & brick FP, bar w/Sub Zero*Upstairs offers a master suite w/FP,vaulted ceiling & custom trusses*Mstr bth; dual sinks,double head shwr & separate tub, walk-in clsts,sun deck*2- BRs w/walk-in closets &full hall bth*Staircase to in-law quarters offers kitchenette &bth*Stunning bkyd w/redone pebble tech pool,spa,waterfall,BBQ,bar &fire pit*"
"Sunny Grove Ranch is situated high in the foothills and surrounded by majestic oak trees. This home has a rich history dating back to 1902 when it was built by the Needham family. The Needhams grew oranges, lemon, grapefruit, and avocados during the local citrus boom. This grand estate has been thoughtfully renovated and preserved over the years using high quality materials throughout. 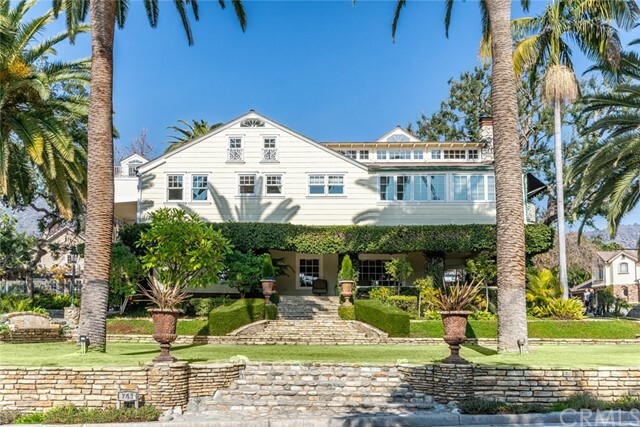 Some of the special features include large and elegant formal rooms with handcrafted wood design details, a beautifully remodeled chefs kitchen, a luxurious master suite, library, media room, renovated bathrooms, and 5 fireplaces. Gatherings large and small are held in the light filled conservatory located adjacent to the fully appointed outdoor kitchen. Sparkling lights, flowing fountains and a long line of cypress trees give the pool area a Romanesque feel. This incredible space creates an inviting backdrop for celebrating with family and friends. This private retreat also includes, a large gym, a massage room, a sauna, two loft studios, two separate guest apartments, a koi pond, a bird aviary, and a new solar system, all on over an acre of beautifully manicured grounds. The finished attic and basement add additional living and storage space." "Welcome to this Mediterranean masterpiece in the prestigious private gated community of Easley Estates. Through the formal entry you are greeted with travertine flooring to a step down formal living & dining room w/dual sided fireplace, dramatic 2 story entry & spiral staircase. The kitchen is highlighted w/a large island, stainless steel Viking appliances, granite countertops, walk-in pantry & a breakfast area overlooking the pool & spa. The family room is open to the gourmet kitchen which has a fireplace & built-ins. Attached to the family room is the game room which has a wet bar, ice maker & dishwasher. Downstairs also features 2 bedrooms w/a Jack-and-Jill bathroom. The master suite has a gas fireplace, balcony to enjoy the relaxing views, 2 walk in closets, oval tub, oversized shower & 2 vanities. The resort grounds are private & serene offering a lovely pool & spa, BBQ center, manicured lawns, lush landscaping & amazing views of the mountains & valleys." "Nestled on a hilltop in Glendora's prestigious Morgan Ranch, this sterling home exults in inside privacy with outside spectacular 180-degree panoramic view from the mountains to downtown LA. Enter through formal double doors to spacious floor plan custom designed from Italian marble floors to vaulted ceilings. Traditional Gated 2-story home. Gorgeous kitchen boasts unlimited upgrades featuring tailor-made German cabinets and granite counter tops. 5 bedrooms each with bath en suite and cedar closets. Spa, Sauna, Pool entertain family and friends parked in 1 of 4 garages or spacious driveway for 10 cars. Home upgrades include: HVAC, roof, rain gutters, water heaters, exterior/interior paint, pest clearance and salt water re-surfaced pool. Stunning views from every window, this home is within minutes of excellent schools, shopping, restaurants, and Glendora Country Club's transcendent 113-acre golf course designed by Robert Trent Jones Sr."
"Spectacular Custom Estate situated on a 18,804 sqft lot in the Award winning Glendora School District near country club. This Amazing 5,755 square feet living space including 6 bedroom and 4.5 bathrooms; a grand formal entry with dramatic 2-story ceilings in the foyer and leading visitors into the luxurious formal living room with a beautiful fireplace. The formal dining room also has high ceilings, designer's lighting and a fireplace. The gourmet kitchen and offer designer cabinetry, entertainer s island, stainless steel appliances. The huge and bright family room includes bar area and rear garden view. Spoil guests in the downstairs in-law suite with mountain views; Designer home office & library is built to perfection. The spacious master bedroom is complete with a gracious sitting area, Two large walk-in closet and a deluxe, spa style master bathroom suite. Ascending upstairs brings you along a custom staircase leading to 4 bedrooms upstairs; an entertainer s paradise awaits you in this large very private back yard with sparkling pool. Dining alfresco poolside is an experience for the taking. Absolutely breathtaking property, schools, Shopping and Dining and are minutes away." "This home offers a dynamic combination of understated elegance & luxury in an exquisite location. Approaching this gorgeous estate you will be wowed by the lovely curb appeal & the impressive statement this home makes. Enter to find an open, flowing floorplan. There is an executive office that includes built in bookcases. The formal living & dining rooms have high ceilings & beautiful appointments. They are truly the perfect places for celebrating special occasions. Boasting newer stainless steel appliances, the open & bright kitchen adjoins the breakfast nook & the very spacious family room, a true great room. There is a cozy fireplace & a bar for entertaining. These rooms open to an expansive deck overlooking your own private park & offers gorgeous views! The grounds of this property are amazing! Mature oak trees dot the landscape, as well as other types of trees & shrubs. There is a pathway through the yard that feels as though you are somewhere in the country. The outdoor kitchen & pool area are also stunning. This is the perfect place for enjoying warm summer days entertaining your family & friends. There is also a bedroom suite that functions perfectly for guest quarters, separate from the main living areas & other bedrooms. The master suite is luxurious & very generous with his & hers master bath areas. The secondary bedrooms are also spacious. There is also a gym & bonus room. This house offers all the amenities for the buyer who appreciates custom quality & design." "ABSOLUTELY THE BEST VALUE IN NORTH GLENDORA AT THIS NEW PRICE. THE MOST SOUGHT AFTER HISTORICAL LANDMARK TUCKED IN THE HILLS OF GLENDORA, DESIGNED AS A REPLICA OF MISSION SAN MIGUEL IN SAN LUIS OBISPO. THE CHARM OF YESTERDAY BLENDS SEAMLESSLY WITH THE CONVENIENCES AND COMFORTS OF TODAY WHILE KEEPING THE MANSION'S UNIQUE HISTORIC ELEMENTS IN PLACE WHILE PAYING ONLY 0.25% TAX! THIS PROPERTY HAS WAY MORE AMENITIES THAN ANY OF THE MUCH SMALLER HOMES DOWN BELOW THAT ARE SELLING BETWEEN $1.5 - $2.0 MILLION WITH LOT SIZES THAT ARE BARELY SCRATCHING 1/4 ACRE. 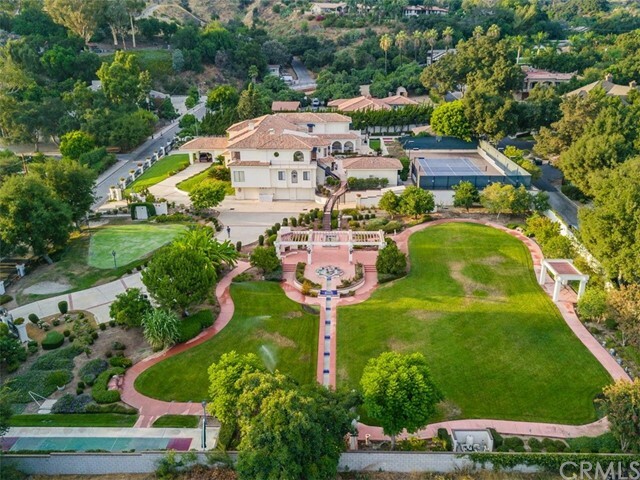 THIS 5.88 ACRE PRIVATELY GATED BUILDABLE ESTATE COULD POSSIBLY BE SUBDIVIDED TO ACCOMMODATE 5 LARGE MANSIONS THAT COULD FETCH $3+ MILLION. BUT ALONE IT'S AN IMPECCABLE TURN OF THE CENTURY MANSION. THE SUPREME GATED PRIVACY OF THIS MANSION REMAINS FOR MANY YEARS THE ENVY OF THE NEIGHBORHOOD DOWN BELOW THAT JUST ONE LOOK OF THIS PROPERTY WOULD CAPTIVATE THE SERIOUS BUYER/INVESTOR THAT IS LOOKING FOR A LASTING HOME FOR THEIR FAMILY WITH A PEACE OF MIND THAT THEY ARE PUTTING THEIR MONEY ON A SOLID INVESTMENT THAT WOULD CERTAINLY SURVIVE THE TEST OF TIME. FEATURES A LARGE BALL ROOM AND DINING ROOM FOR A PRESIDENTIAL ESTATE DINNER, MASTER BEDROOM WITH ITS OWN SAUNA, PRIVATE RETREAT AND MAN-CAVE WINE CELLAR. The BALLROOM has 30-ft high ceilings with artistic frescoes painted by 2 European artists. A separate FUNCTION ROOM seats 30+ people served by a COMMERCIAL SIZED KITCHEN, 6-burner STOVE, GRANITE." 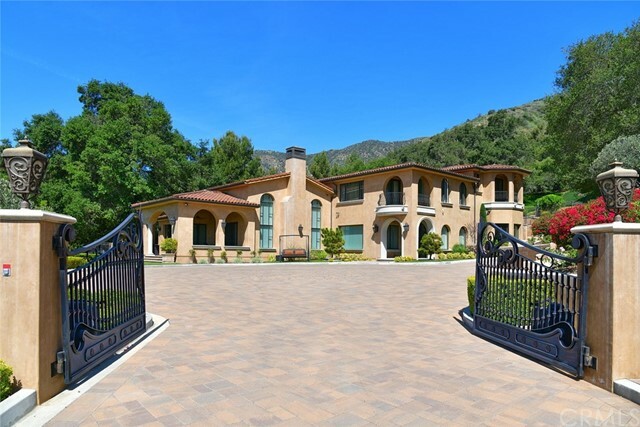 "Large Spanish style 'La Colina Estates' by William Lyon Homes on an oversized 20,000 sq ft lot. 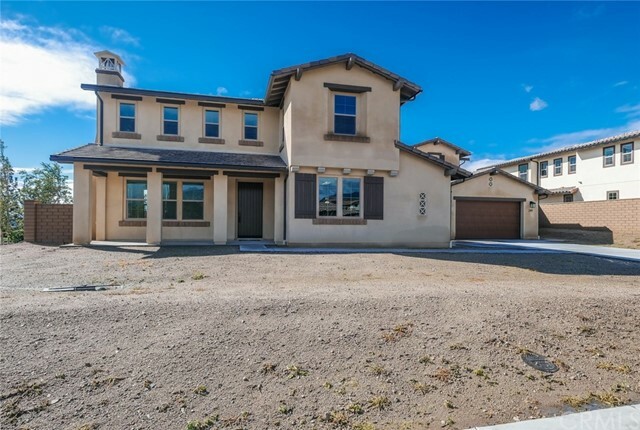 Large lot at the end of the cul-de-sac featuring 5 bedrooms, 5.5 baths encompassing 6,081 sqft of living space. There is a bedroom with full bath and an office located on the main floor. Stainless steel Kitchen Aid appliances with upgraded sage stained maple cabinets graces this chef s kitchen that is finished off with a white quartz countertop and decorative tiles backsplash. Flooring to be selected by buyer. The oversized 72 foot backyard will be the perfect setting for you to entertain friends and family." "GORGEOUS 2016 built luxury home in excellent NORTH GLENDORA school district - no HOA & no Mello Roos! Featuring 5 bedroom suites + office, including a convenient downstairs bedroom suite with private kitchen and living room. Magnificent indoor & outdoor space truly an entertainer s dream! 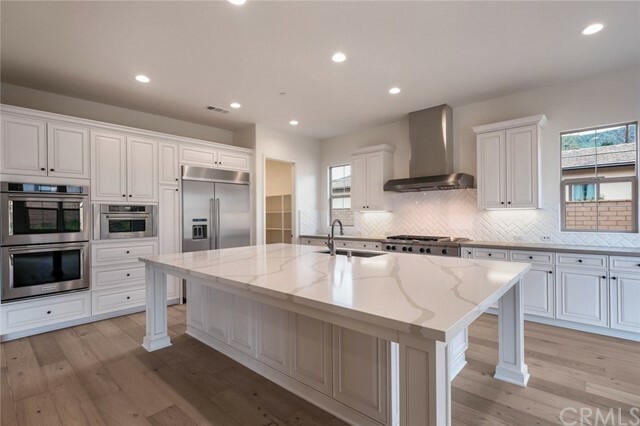 Gourmet kitchen offers a large center island, breakfast bar and dining area, stainless steel appliances, 6-burner range with mosaic backsplash, built in refrigerator, high end cabinetry, walk in pantry and butler s pantry. Spacious living room with fireplace and glass sliding wall opens to your HUGE backyard oasis. Featuring a built in BBQ + bar, large heated spa, covered patio and seating areas, outdoor fireplace, immaculate landscaping and beautiful mountain views. Relax in the master bedroom with private balcony and large walk in closet. Master bathroom with oversized soak tub, walk-in shower and separate vanities. Additional amenities include grand two-story entry, formal dining room, bonus upstairs loft and balcony, individual laundry room and 3-car attached garage. Turnkey home with fabulous curb-appeal in a quiet cul-de-sac neighborhood A MUST SEE!" "Gorgeous mountain and city lights views! Private and secluded in one of North Glendora s most coveted neighborhoods on a cul-de-sac street with 5,839 sqft on a picturesque 20,010 sqft lot with gorgeous pool and spa. This custom built home features a formal entry with tile floors and sweeping wrought iron staircase, formal living room with gas fireplace, crown molding, plantation shutters, and beautiful windows for extra light, spacious family room/great room with fireplace and French doors, large gourmet kitchen with center island, stainless appliances, granite counters, white cabinets, breakfast bar, kitchen eating area, walk-in pantry, and separate formal dining room. Downstairs office/study with built-in bookcases and desk area, downstairs bathroom with shower and large laundry room with tons of storage. Upstairs features an impressive luxurious master suite with cozy fireplace and balcony with mountains and city lights views and a gorgeous remodeled master bathroom with dual sink vanity, soaking tub, oversized shower and two walk-in closets. Four additional upstairs bedrooms with mirrored closet doors, and an additional three upstairs bathrooms. Private entertainers backyard with built-in BBQ, eating area perfect for summer dining, gorgeous pool and spa, spacious lawn area and lush landscaping. Three car attached garage completes this amazing estate. This home shows beautifully!" "New Construction at La Colina by William Lyon Homes. Large corner lot featuring 5 bedrooms, 5.5 baths encompassing 6,081 sqft of living space. Stainless steel Kitchen Aid appliances including a 48 built-in refrigerator with upgraded sage stained maple cabinets grace this chef s kitchen that is finished off with a white quartz countertop and glass tiles backsplash. The flat and oversized 75-foot backyard will be the perfect setting for you to entertain friends and family while enjoying beautiful mountain views. Nestled in the picturesque foothills of Glendora, La Colina Estates features homes of extraordinary luxury and beauty. 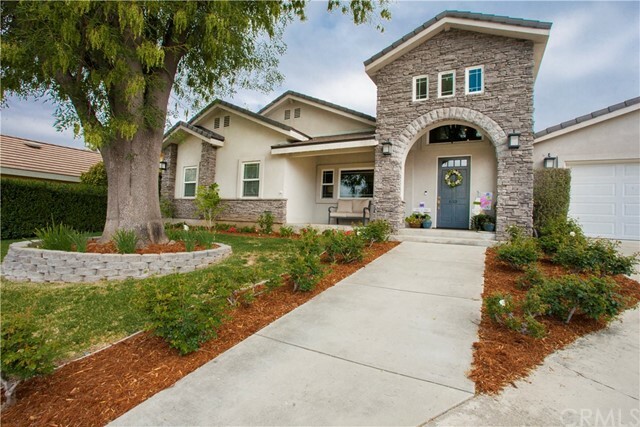 The community is included within the highly rated Glendora Unified School District, an important consideration for family-oriented homebuyers. La Colina Estates is also close to the 210 Freeway and Metro Gold Line train station, affording an easier commute to major employment areas from Pasadena to northeast Los Angeles." 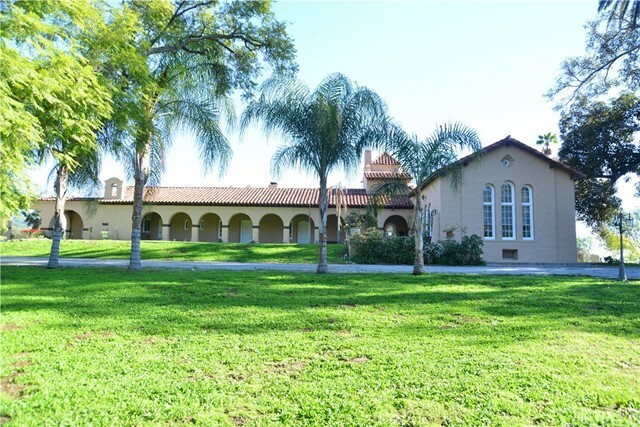 "Large Spanish style single story home at 'La Colina Estates' by William Lyon Homes on an oversized 20,000 sq ft lot. Spacious single level home with 4 bedrooms, 4.5 baths featuring a guest house perfect for the multi-generation family. Highly upgraded with white shaker cabinets, quartz countertops, stainless steel kitchen aid appliances including a built-in refrigerator, surround sound speakers, recessed lighting, wet bar in master bath, huge walk in closets and more. Must see to appreciate." "NEW PRICE $1,698,000 .... Seller is ready to move...North Glendora exclusive custom home neighborhood. Enter into the foyer with polished marble floors. The NEW beautifully remodeled kitchen with no expense spared features custom cabinetry, quartz countertops, subway tile backsplash, Wolf double oven's (never used), a wine cooler, Sub-Zero refrigerator, an over-sized island, breakfast bar, plus an eating area adjacent to the kitchen with vaulted ceilings and a fireplace. After dinner hang out in the large family room with a built-in TV, surround sound, fireplace, and wet bar featuring an ice maker, mini-fridge and beer tap. The newly remodeled living room also has a built-in TV, beautiful marble fireplace, and new tile flooring. Upstairs there are all four bedrooms, all of great size. The bonus room has a closet and is being used as a 4th bedroom. The spacious master retreat with double door entry and fireplace leads to the master bath with double vanity, granite counter tops, a separate shower, jetted soaking tub with a built-in TV, and a walk-in closet. The amazing backyard resort features a salt water pool and spa, built-in BBQ, gas fire pit, built-in heaters, fireplace, covered patio and a gazebo! This is the perfect place to entertain or relax!!.... Addtional features include: Plantation Shutters, Wainscoting, Central Vacuum, and Control 4 Smart Home System. www1119Englewild.com"
"This one of a kind gorgeous single story home in Glendora is perfect for entertaining. This home was completely remodeled in 2010 and in 2011 won the Beautification Award. It features 4,111 sq ft of living space & is situated on a 22,418 sq ft lot, on a quiet cul-de-sac, with all underground utilities. As you walk in you re welcomed by a magnificent foyer. The gourmet kitchen features granite & quartz countertops, dual fridge, 5 burner stove, instahot farm house sink & hardwood floors. Large walk in pantry with ample storage. Adjacent is the family room which offers you a huge Great Room that has vaulted ceilings & a large wood burning fireplace. This home also offers a formal living room, dining room and room for dual washer/dryers in laundry room. There are (5) bedrooms, two of those are master suites. Both w/ walk-in closets, largest master suite is very spacious & has a newer attic fan, master bath w/dual sink vanities with Carrara marble countertops and flooring. Carrara marble & glass tile walk in 45 sq ft Mr. Steamer Shower. Upgrades include newer dual pane windows, copper plumbing, tankless water heater, an abundance of custom cabinetry throughout, 3 A/C units, homework area, Tile Roof & more! The expansive beautiful backyard is completely private w/ an encompassing cinderblock wall, mountain views, incredible pool with diving board and detached glass tile 12 round Jacuzzi. Along with 5 avocado trees. Located within the award winning Glendora Unified School District." "Beautiful large Spanish style single story home at 'La Colina Estates by William Lyon Homes on corner lot. 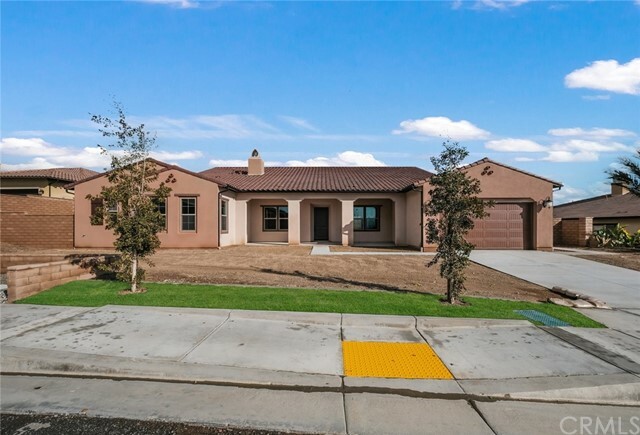 4 bedrooms 4.5 baths featuring a very open floor plan. Gourmet kitchen with spacious center island, Caesar stone counters, beautiful white maple cabinets, Kitchen aid stainless appliances including built-in refrigerator, double ovens, 6 burner gas cooktop, microwave, dishwasher, walk-in pantry, and kitchen eating area. Large master suite with sitting area, huge walk-in closet, luxurious master bathroom with dual vanities with quartz counters, soaking bathtub, and oversized shower. Secondary bedrooms each have their own bathrooms. Flooring includes upgraded wood flooring in common areas and carpet in all bedrooms. Four car attached garage with direct house access. All located in the award winning Glendora Unified School District." "Gorgeous new carpet thru-out!! Picturesque four bedroom executive home in private North Glendora neighborhood on cul-de-sac street surrounded by scenic mountain views. Gorgeous formal entry with sweeping staircase welcomes you to this beautiful home with new carpet thru-out with step down formal living room with fireplace and crown molding, private office with French doors to private patio, family room/great room with fireplace and slider door to outside, wood beamed ceiling, and wet bar with sink and wine refrigerator, open kitchen with granite counters, stainless appliances including double ovens and sub zero refrigerator, center island with sink, garden window, tile floors, and walk-in pantry, formal dining room, downstairs bedroom and remodeled bathroom with walk-in shower, and a downstairs powder room. Upstairs features a spacious master suite with fireplace, private view balcony, and walk-in closet, master bathroom with dual sink vanity, walk-in shower with dual shower heads, and spa tub. Upstairs also features two additional bedrooms with en-suite bathrooms, and a large laundry room. Outside entertaining area with mountain views, pool/spa and lawn area. Three car detached garage with storage and an additional one car attached garage with direct access to house. Located within the award winning Glendora Unified School District. This home shows beautifully!" "Rare chance to live in an Historic 1886 Farmhouse on over an acre parcel, with a Guest House and large country Barn. 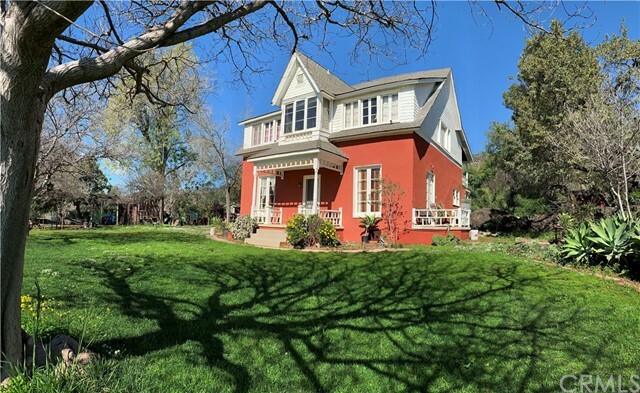 The main house is a 3bedroom/2bath 1,944sqft Victorian Home. A guest house was created from the original 1875 School house moved onto the property and later renovated into a Guest House/Art Studio in the 1920 s now providing 2-bedrooms/1-bath, 944sqft. The large 2,261sqft original Barn has three levels, Carriage Port, Loft and lower horse stalls. The first Homestead Shed of J.C. Preston from 1870 was moved onto the site and is now used as a storage shed. All this on a 45,000sqft lot elevated above the new homes in the La Colina development with driveway access from both Milton Drive and Snapdragon on the south. In charming Glendora less than 30miles from Downtown Los Angeles and only a short walk to the Metro Gold Line connecting the greater Los Angles area, yet when you are on this site you feel like you are on an isolated farm."